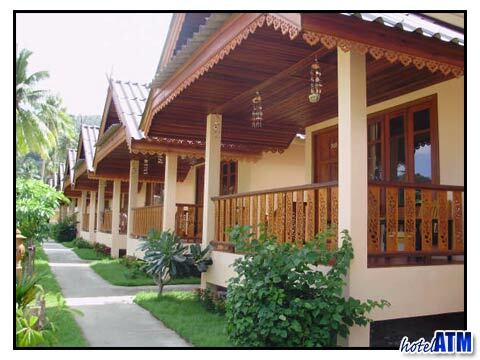 There are some fun Phi Phi party hotels down on the beach in Phi Phi Don Village. These bungalow resorts are right next to the main island party bars that push out some great tunes out in to the night. The other cool places to stay are next to the 'early bars' in the center of the village and these can be better value. Unless you want to rife in by 10 minute taxi ferry from Long Beach every evening, the Phi Phi party hotels are connected to Loh Dalum beach the, wide sweep of a bay to the north of the main village. Loh Dalum is just 150 meters from Tonsai Bay pier the main entry point for the island though it is in fact on the other side of the island. After food in the main village and after hanging out at a village party bar like Dojo Bar or the Reggae Bar, the party people head over to the beach to enjoy a fires show and dance the night away. Bars like Slinky Beach Bar hammer out great tunes all night and put on night after night of great parties. These beach bars are smaller than their Koh Phangan Full Moon Party equivalent and so 'take off' much quicker and is the reason why Phi Phi Party nights are so popular. 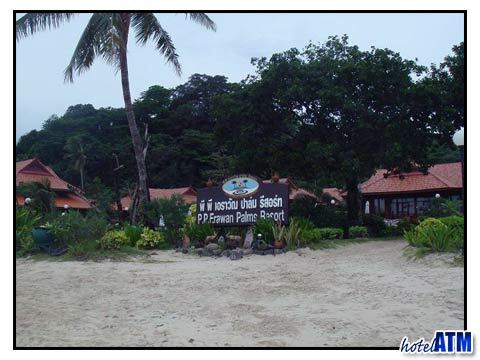 One of the main Phi Phi party hotels on the beach is the Phi Phi Anita Resort. This choice of hotel at the beach, is ideal for those who want to party hard and be right on top of action, just a short, short walk to crash after a great night out. The PP Charlie Beach Resort and the good value Phi Phi Viewpoint Resort that has dazzling views over the bay are just on the edge of this party scene. PP Charlie Beach Resort has smart comfortable air con rooms just 100 meters behind the beach. The Phi Phi Viewpoint Resort is on the end of the bay and has the advantage of a pool some sunset views from the higher up the slopes fan rooms and some good value room prices. There are some good Phi Phi party hotels in the heart of the village, like the well-reviewed The White Guesthouse and at the edge of the village like the pretty Tropical Garden Bungalows and the very inexpensive Harmony House. All these places vary in style, facilities and cost and so it is worth taking a little time finding out which one fits you. The Phi Phi party hotels on Long Beach are for those who love the idea of partying but waking up on one of the islands best resort beaches. The longtail boat taxis run all night but increase prices after sunset and then after midnight it is a negotiation. All the Long Beach Hotels are worth looking at but look out for Phi Phi The Beach Resort for the high end and Phi Phi Hill Resort for budget (but this one only runs November to April).